Geothermal heat flux is the major unknown when we evaluate the temperature and the presence/absence of water at the bed of the Antarctic Ice Sheet. 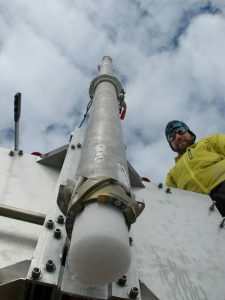 This information is crucial for the Beyond Epica Oldest Ice project, which aims to find a continuous ice core spanning 1.5 million years (see this previous post). 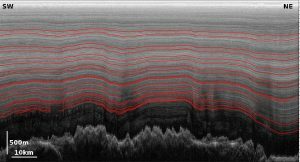 A lot of work has been done* to determine geothermal heat flux under the entire Antarctic Ice Sheet, and all conclude that additional direct measurements are necessary to refine basal conditions! 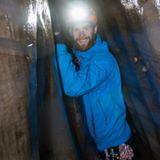 However direct measurements are difficult to obtain, due to the thick layer of ice that covers the bedrock. 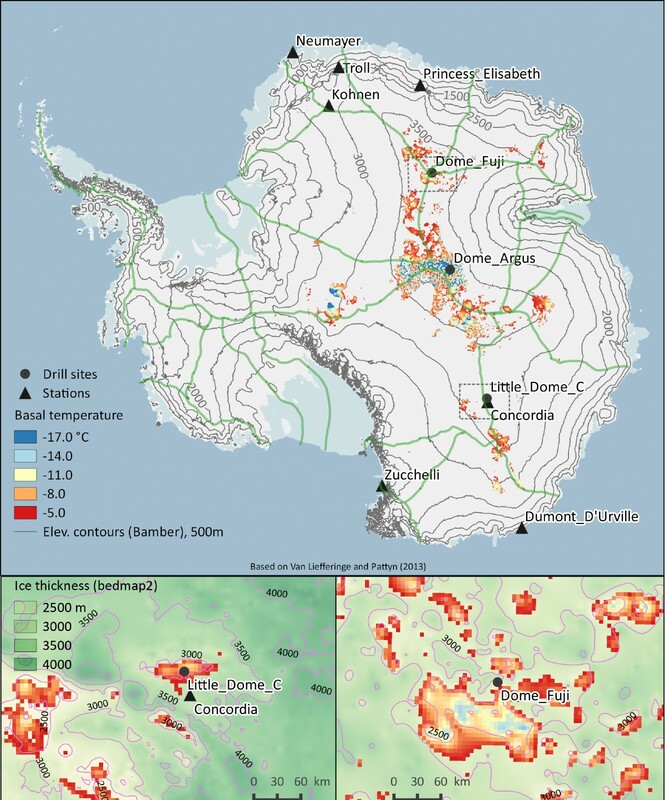 Our new image of the week goes over what we currently know about the geothermal heat flux in Antarctica and presents the five data sets that currently exist. But first, let’s see where this heat flux come from? 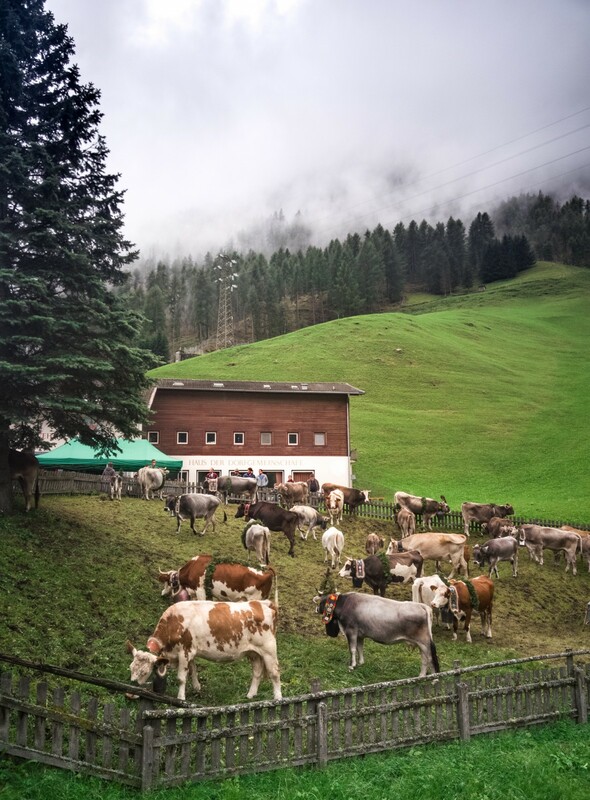 What determines geothermal heat flux and how can we estimate it? Heat flux measured at the surface of the Earth has two sources: (i) primordial heat remaining from when the Earth formed and (ii) contemporary-sourced heat coming from radioactive isotopes present in the mantle and the crust. This heat, concentrated in the Earth’s centre, can propagate to the surface through both conduction in the solid earth (inner core and crust) and convection in the liquid-viscous earth (outer core, lower and upper mantles). The net heat flux to reach the surface of the crust and penetrate the overlying ice is what we refer to as the ‘geothermal heat flux’. Wherever the crust is thinner, convection in the mantle can transfer heat more efficiently to the surface. In those locations, the net geothermal heat flux is higher, and vice versa. At mid-ocean ridges and in active volcanic areas, the heat can be delivered almost directly to the surface by advection (i.e. 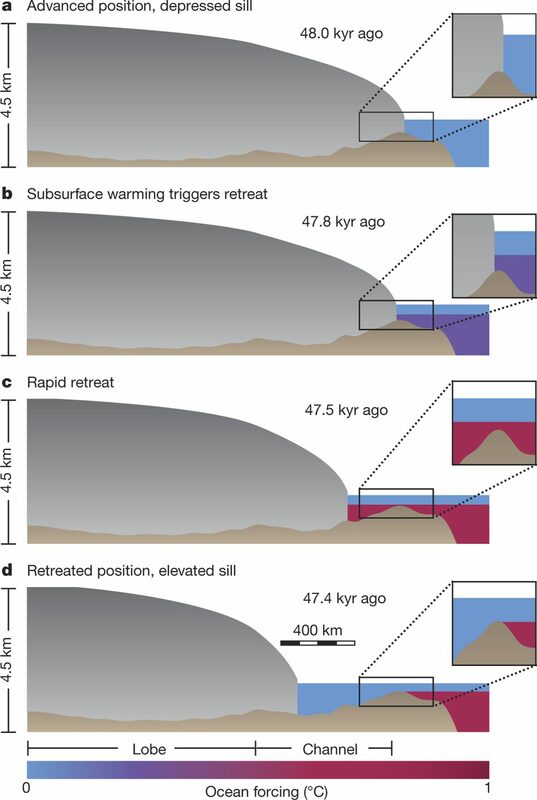 by the movement of magma), therefore leading to a higher net surface geothermal heat flux (think of Iceland, where the shallow crust allows them to take advantage of geothermal heat flux directly). As a result, we know that the geology determines the magnitude of the geothermal heat flux and the geology is not homogeneous underneath the Antarctic Ice Sheet: West Antarctica and East Antarctica are significantly distinct in their crustal rock formation processes and ages. Nowadays, five independent global geothermal heat flux data sets exist: Shapiro and Ritzwoller, (2004); Fox Maule et al., (2005); Purucker, (2013); An et al., (2015); Martos et al., (2017) (see image of the week). All geothermal heat flux data sets compiled and currently used have been inferred from the properties of the crust and the upper mantle, as geology dictates the magnitude of geothermal heat flux spatially. Let’s see together how the estimation of geothermal heat flux has evolved over the years…. The simplest method, which consists in using a constant value of geothermal heat flux over the entire continent, was common at first and is still sometimes used (e.g. sensitivity tests and model intercomparison projects) as it facilitates model inter-comparisons. Pollard et al. 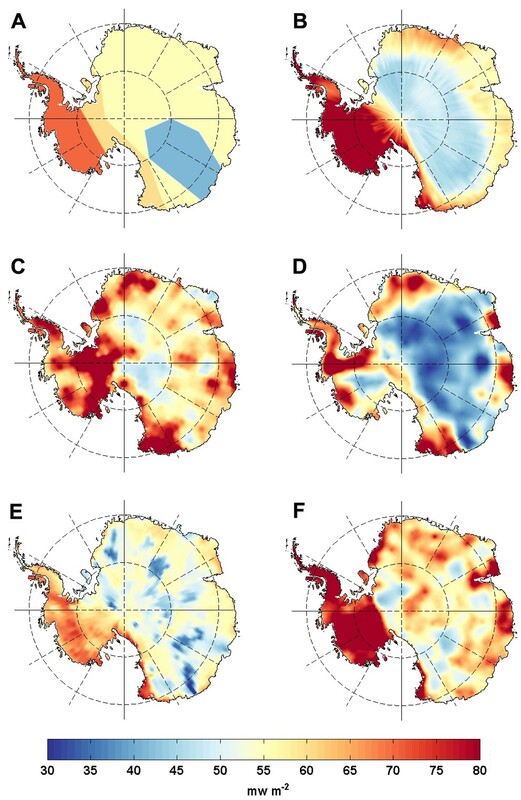 (2005), in panel A, used bands of constant geothermal heat flux values (70, 60, 55 and 41 mW m-2), with geothermal heat flux decreasing from West Antarctica to East Antarctica, consistent with the known geology. Shapiro and Ritzwoller (2004) are the first to propose a geothermal heat flux distribution map based on seismic methods, and not strictly on rock composition. They extrapolate the geothermal heat flux from a global seismic model of the crust and the upper mantle which is an analysis of seismicity all over the world. Regions of the globe are grouped by their similarity in seismic structure. Assuming that a certain magnitude of seismicity represents a certain geothermal heat flux value, they assign geothermal heat flux value to regions where geothermal heat flux cannot be directly measured by using geothermal heat flux data from regions of similar seismicity. The geothermal heat flux spatial distribution obtained, with values up to 80 mW m-2 in West Antarctica and 48 mW m-2 in East Antarctica, agrees with that of Pollard et al. (2005). However, errors associated with this method are quite large, reaching 50% of the geothermal heat flux value. A year later, Fox Maule et al. 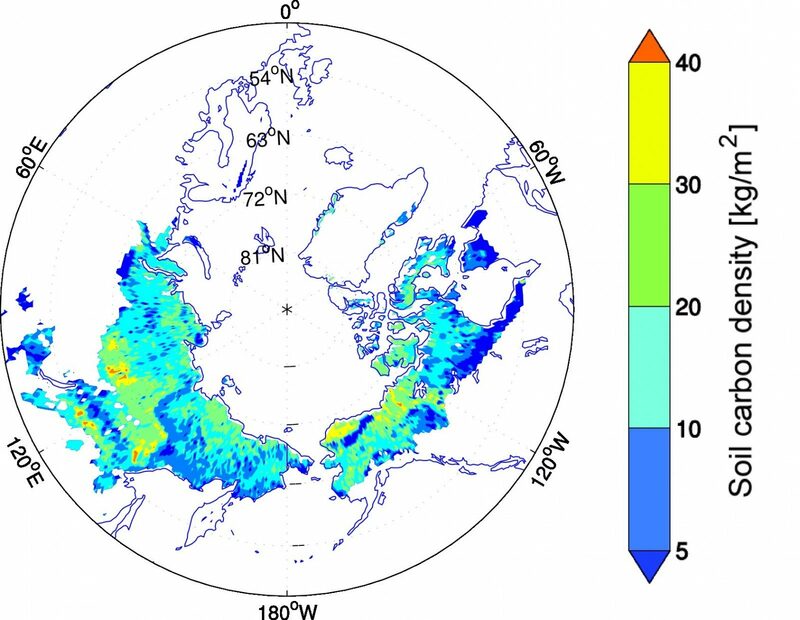 (2005) derive a geothermal heat flux map based on satellite magnetic measurements and a thermal model. The objective is to determine the depth to the Curie temperature, the temperature at which a material loses its permanent magnetic properties. They set the Curie temperature to 580 °C, while the temperature at the ice-bedrock interface is set at 0 °C. Satellite magnetic measurements allow the calculation of the depth of each of these boundaries. The geothermal heat flux is then obtained using a thermal model of the crust between the depth of the two boundary temperatures. This method also has a large associated error, 60% of the geothermal heat flux value for the East Antarctic interior. In 2013, Purucker updates the Fox Maule et al. (2005) geothermal heat flux map with new magnetic data. The spatial geothermal heat flux pattern obtained still retains the characteristic pattern of low values in West Antarctica and high values in East Antarctica, but predicts lower absolute values for East Antarctica and around the West Antarctic coast. More recently, An et al. (2015) derive a new geothermal heat flux distribution based on seismic velocities. The method is similar to that used by Shapiro and Ritzwoller (2004). They analyse the Earth’s mantle properties using a new 3D crustal shear velocity model to calculate crustal temperatures and the surface geothermal heat flux. However, their spatial distribution of geothermal heat flux differs quite a bit from the other data sets, particularly in East Antarctica where geothermal heat flux values differ by 10 mW m-2 from those of Shapiro and Ritzwoller (2004). An et al. (2015) find very low geothermal heat flux values at the domes, which is good news for the search of Oldest Ice, but rather high overall values for East Antarctica compared to the other data sets. They explain that the model is invalid for geothermal heat flux values exceeding 90 mW m-2. But such high values should only impact young crust areas, mainly West Antarctica and therefore the variability observed in East Antarctica cannot be explained. In 2017, Martos et al. 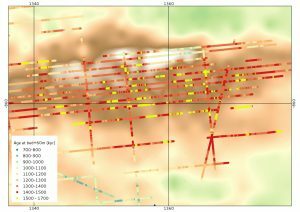 provide a high resolution geothermal heat flux map based on the spectral analysis of airborne magnetic data. They use a compilation of all existing airborne magnetic data to determine the depth to the Curie temperature and infer the geothermal heat flux using a thermal model. 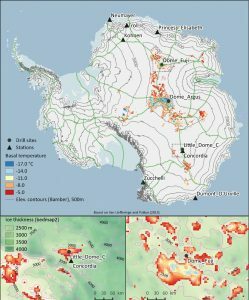 Their continent-wide spatial distribution of geothermal heat flux obtained agrees with previous studies, but they show higher overall magnitudes of geothermal heat flux including East Antarctica. They report an error of 10 mW m-2 which is interestingly smaller than for the other data sets. However, their data set does not take into account point measurements of geothermal heat flux. 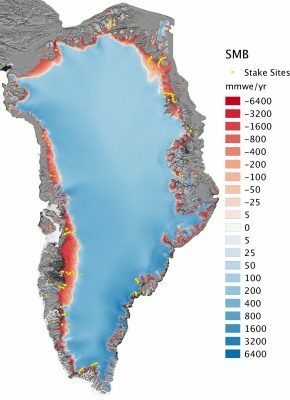 The same year, Goodge (2017) calculates an average geothermal heat flux value of 48 mW m-2 for East Antarctica with a standard deviation of 13.6 mW m-² from the analysis of clasts in the region between Dome A and the Ross Sea. A geothermal heat flux value of 48 mW m-2 is consistent with the mean value of the data sets described above. 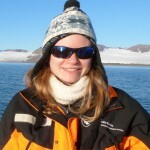 Van Liefferinge, B., Pattyn, F., Cavitte, M. G. P., Karlsson, N. B., Young, D. A., Sutter, J., and Eisen, O.: Promising Oldest Ice sites in East Antarctica based on thermodynamical modelling, The Cryosphere Discuss., https://doi.org/10.5194/tc-2017-276, in review, 2018. Van Liefferinge, B. 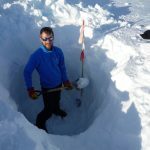 Thermal state uncertainty assessment of glaciers and ice sheets: Detecting promising Oldest Ice sites in Antarctica, PhD thesis, Université libre de Bruxelles, Brussels, 2018. 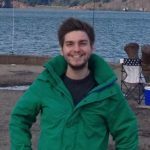 Brice Van Liefferinge has just earned his PhD at the Laboratoire de Glaciology, Universite Libre de Bruxelles, Belgium. His research focuses on the basal conditions of the ice sheets. He tweets as @bvlieffe. 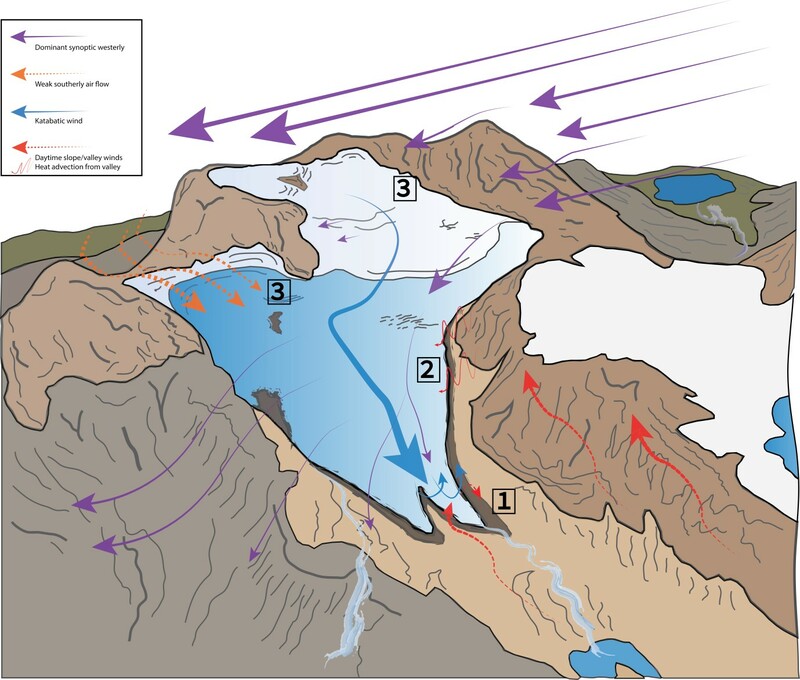 Figure 1: A schematic of the potential wind flow and interplay of local effects on Tsanteleina Glacier in the Italian Alps. The diagram represents wind modelling, measured data and observations from the field. (1) The interactions of down-glacier katabatic winds (blue) and up-valley winds/local heat sources (red); (2) the potential heat emitted from the warm valley surroundings (pink) and; (3) localised surface depressions representing glacier 'cold spots' during calm, high pressure conditions. Arrows correspond to synoptic westerlies (purple), southerly airflow (orange), katabatic winds (blue) and valley winds (red) [Credit: T Shaw, unpublished] - Click here for a larger version. 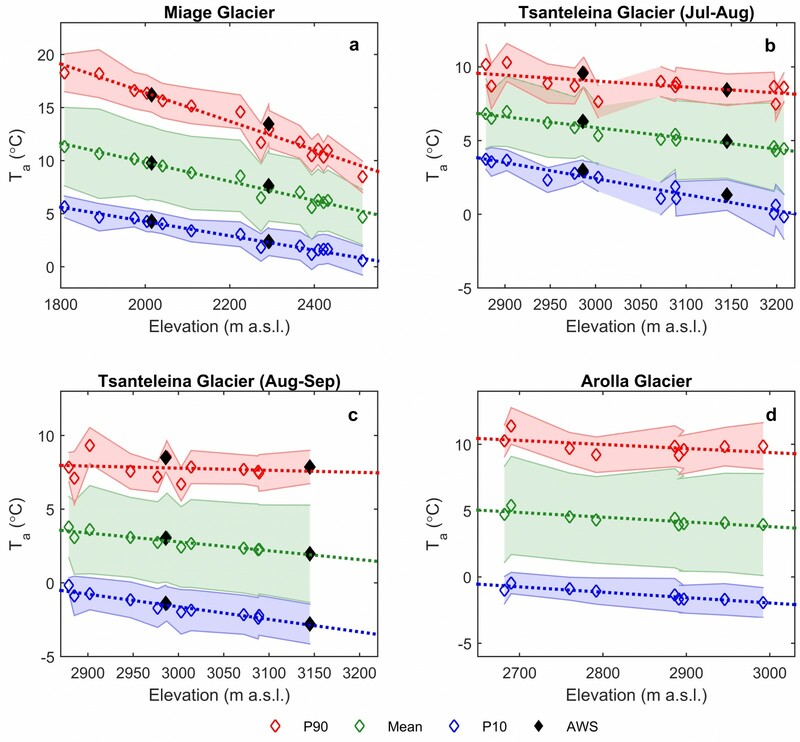 It might seem obvious that a warming world will lead to a reduction in glacial ice cover, but predicting the response of glaciers to climatic change is no simple task (even within the short term). One way to approach this problem is to come up with relationships which describe how glaciers interact with the world around them, for example, how the ice interacts with the air above it. 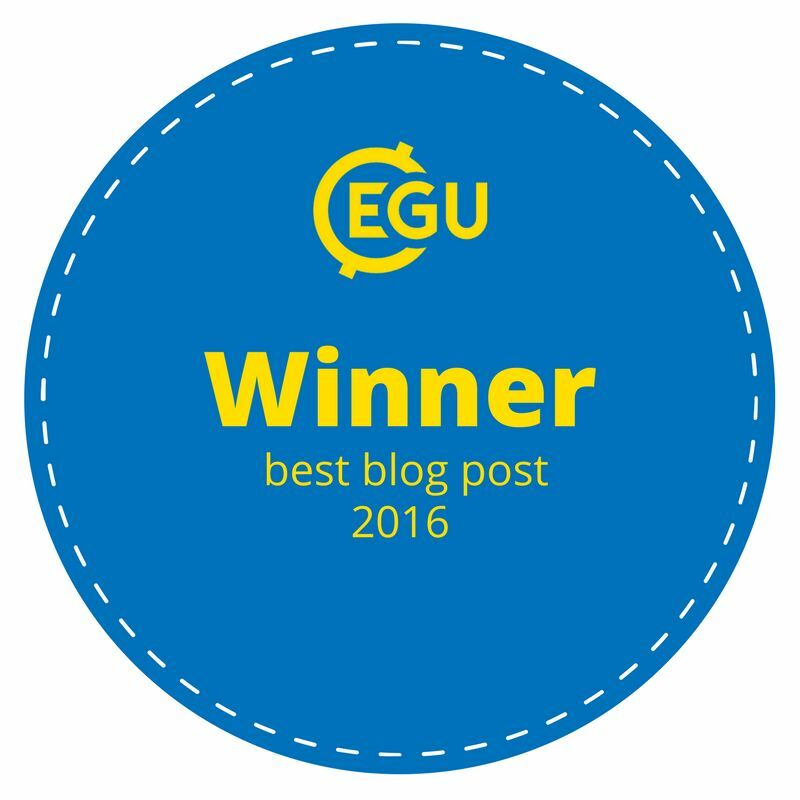 Our post today delves into the world of ice-air interaction and describes some of the problems encountered by those who are investigating it, in particular the problem of modelling katabatic winds! Not sure what we are talking about…then read on to find out more! Anyone who has stood on, or in front of a glacier on a clear, sunny day has no doubt felt the bitter chill of a katabatic wind, forcing them to don a warm jacket and lose their chance at that lovely “glacier tan”. Katabatic winds (derived from the Greek word katabasis, meaning ‘downhill’) develop over snow and ice surfaces because the 0°C ice surface cools the air just above it. 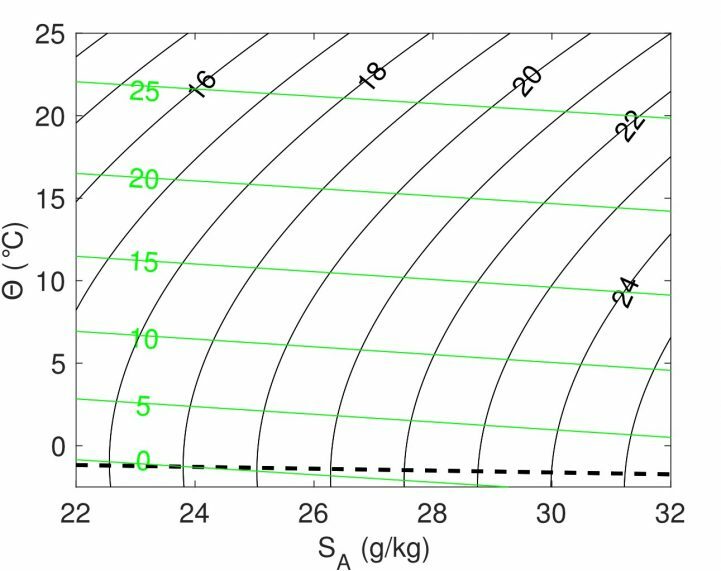 This cold, dense air then flows downhill under the force of gravity (Fig. 1 and Fig. 2). This is not recent news and such wind chill has no doubt punished glaciologists and explorers for the last century or more – Mawson’s Description of the 1911-1914 Australian Antarctica Expedition is aptly named “The Home of the Blizzard“. However, despite being well known, this phenomenon still causes much uncertainty when it comes to modelling the melting of glacier ice surfaces around the world. Figure 2: The view from the upper reaches of Tsanteleina Glacier in the western Italian Alps (Val d’Rhemes, Aosta). Katabatic winds generally flow in a down-glacier direction – here, from right to left [Credit: T Shaw]. Air temperature is really important in determining how much a glacier melts and we need to know as much about it as possible to provide accurate predictions now and into the future. This is particularly relevant because the warmer it gets, the more energy is available to melt ice and seasonal snow. Unfortunately though, we don’t have an infinite supply of meteorological observations (e.g. air temperature, wind speed etc) at many locations we are interested in. As a result, we have to make simple assumptions about what the weather is doing at a remote, far away glacier. One such simple assumption is based upon the fact that air temperature typically decreases with increasing elevation, and so if we know the elevation of a location we are interested in, we can assume a ‘likely’ temperature. The rate of change in temperature with elevation is known as a ‘lapse rate’. 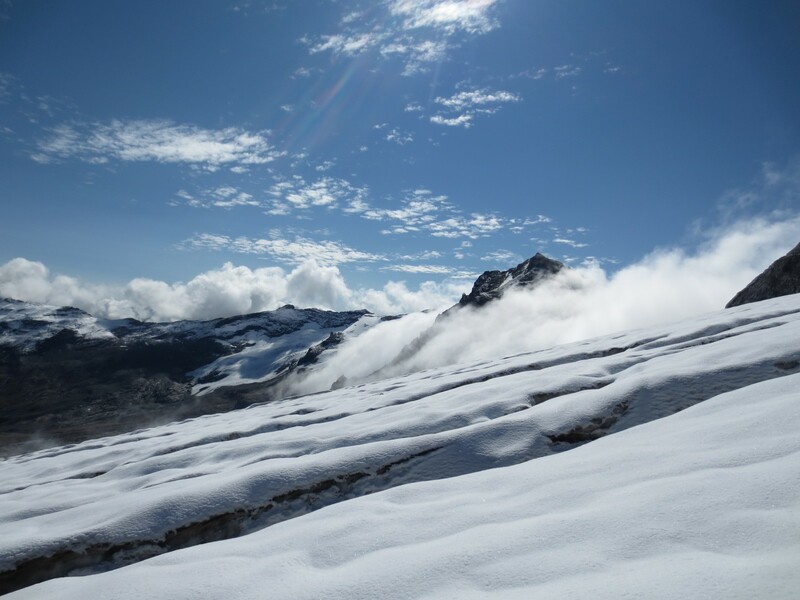 Air temperature is really important in determining how much a glacier melts…the warmer it gets, the more energy is available to melt ice and seasonal snow. When predicting glacier melt, it is common practice to use a lapse rate which stays constant in time and space. This is convenient as we often don’t know the actual lapse rate at a given location, but this often ignores things happening at the surface of the Earth. An important example of this is when we have katabatic winds over glaciers! When conditions are warm, and skies are clear, the cooling of the air above the ice surface, means that the application of a lapse rate is fairly useless, or close to it [Greuell and Böhm, 1998]! That is because the cooling from the surface continues as air flows down the glacier, typically creating colder temperatures at lower elevations, the opposite of the typical lapse rate assumption that models will apply. 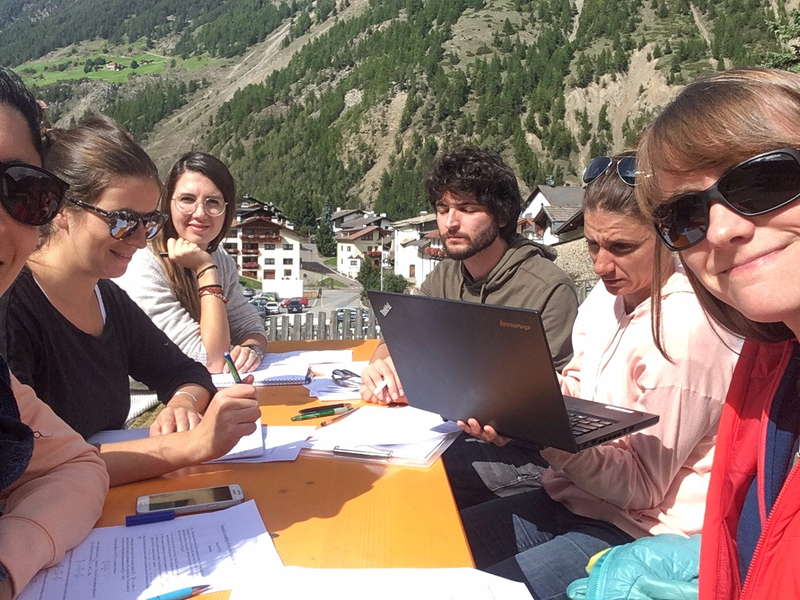 To complicate matters for people trying to model the air temperature over glaciers, the effect of surface cooling is not just dependent on the amount of time an air parcel is in contact with the ice surface but also the characteristics of the ice surface it has been in contact with. In fact, after cooling on their descent down-glacier, air parcels have been documented to warm again, leaving interesting slightly “bow-shaped” curves to the temperature-elevation relationship. This effect has been found for the Swiss Haut Glacier d’Arolla and the Italian Tsanteleina Glacier (Fig. 3c,d). 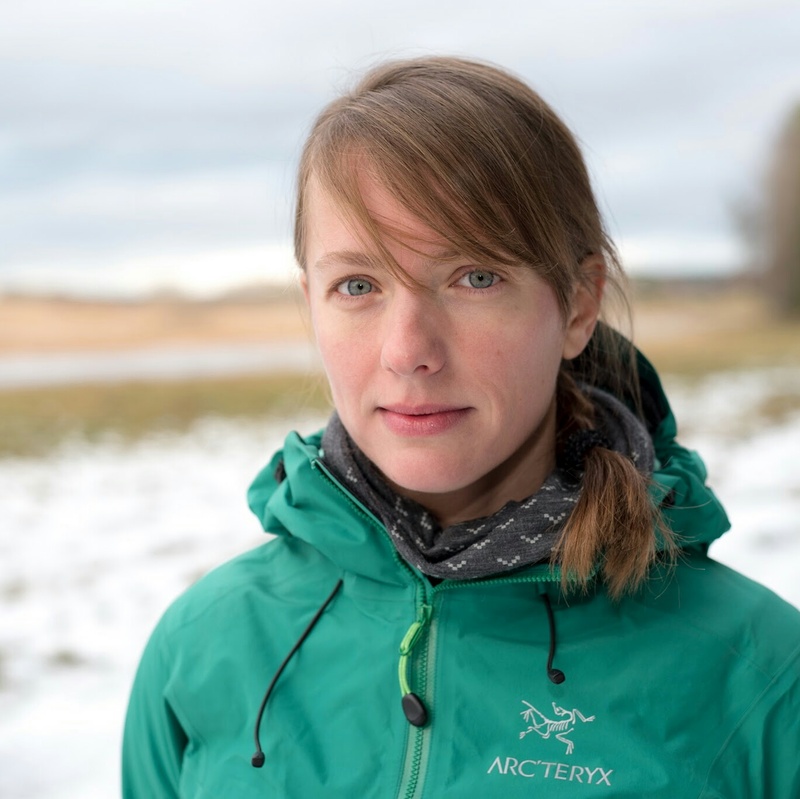 A new model approach to tackling this bow-shaped problem has been presented by recent research [Ayala et al., 2015] and offers a means of accounting for katabatic winds in glacier models. Nevertheless, more data and more work are still needed to generalise these models [Shaw et al., in review]. Figure 3: Relationship between elevation and air temperature on three different glaciers in the western Alps. Miage (Italy), Tsanteleina (Italy) and Arolla (Switzerland). Glaciers are represented using the mean of all data available (green), the top 10% of off-glacier temperatures (P90 – red) and the bottom 10% of off-glacier temperatures (P10 – blue), plus one standard deviation. The debris-covered Miage Glacier does not demonstrate a classic katabatic flow regime and therefore temperature corresponds well to elevation even under warm conditions [Credit: T Shaw, unpublished]. after cooling on their descent down-glacier, air parcels have been documented to warm again, leaving interesting slightly “bow-shaped” curves to the temperature-elevation relationship. As you may have read in our previous post on the topic, debris-covered glaciers behave in a different way to those with a clean ice surface. 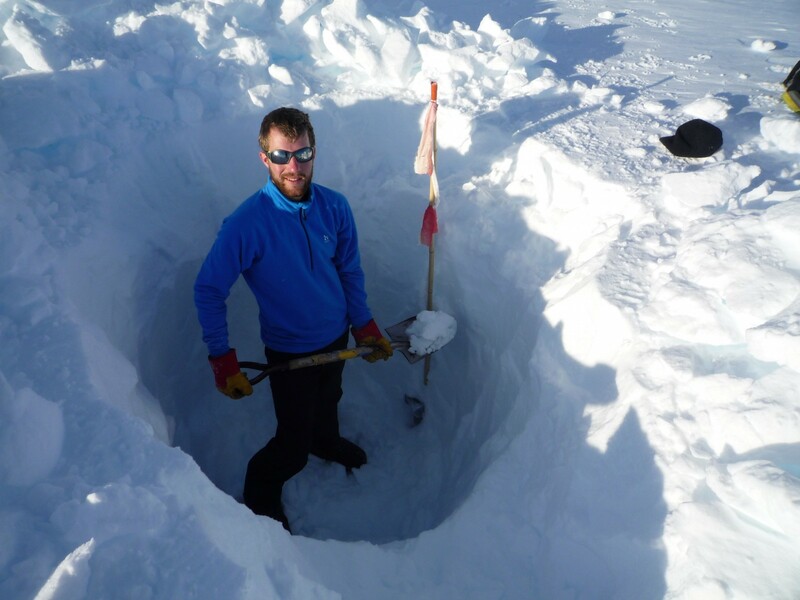 Detailed observations of air temperature across a debris-covered glacier show that the glacier responds to the heating of surface debris in the sunlight and a consequent warming of the lower atmosphere [Shaw et al., 2016]. Because of this, air temperature conforms very strongly to the elevation dependency that is assumed when using a lapse rate. Although very local variations of air temperature on other debris-covered glaciers cannot be well estimated by a lapse rate [Steiner and Pellicciotti, 2016], the insulating effect of thick debris cover means that the current approach to using simple lapse rates for estimating air temperature over debris-covered glaciers could be suitable. Nevertheless, challenges for accurately representing air temperature above glaciers without debris cover remain. The fact that globally averaged temperatures are expected to rise over the current century (areas at high latitudes have shown a stronger warming trend) [Collins et al, 2013], the applicability of using lapse rates could further diminish. Recent patterns of warmer-than-average temperatures also suggest a difficulty of accurately estimating on-glacier temperatures in the short-term. For example, for the period of May 2015 – August 2016, every month beat the previously held record for warmest globally average temperature (GISTEMP). Imagine the bow-shaped problem to that! Lines of constant density for sea water . Black lines show lines of constant density as a function of temperature (y-axis) and salinity (x-axis). The dashed black line indicates, for a given salinity, the temperature at which the water will freeze. Figure adapted from Timmermans and Jayne (2016) - with permission. Earth’s oceans are not simply just water, they are a complicated multi-component fluid consisting of water and dissolved salts (ask anyone who has tried to drink it!). The existence of these salts has a significant impact on global ocean circulation. Nowhere is this more significant than in the polar oceans where it is one of the key factors influencing sea ice formation. In this week’s image of the week we are going to show you how freezing ocean water is a little more complicated than you may think! The salinity and temperature of ocean water affect its density; essentially how much it weighs. Typical ocean densities are around 1000 kg/m3 and, depending on the temperature and salinity may vary by up to 1 %. This seems tiny, but these small changes in density are what drive the thermohaline circulation, the dominant large-scale ocean circulation. The density of sea water, as a function of temperature and salinity, is expressed in terms of the equation of state (a mathematical way of describing the density of sea water in relation its temperature and salinity). Contours of the equation of state of seawater are shown in this week’s Image of the Week. The figure is from a recent paper by Mary-Louise Timmermans and Steven Jayne, who try to understand how changes in Arctic temperature will influence the density, and therefore the circulation, in the Arctic Ocean. The y-axis is temperature, and the x-axis is salinity. The black lines are density contours. The dashed line plots the freezing point of water. Sea ice begins to form when ocean water is brought to this freezing point. If one was to put a cup of tap water into a freezer, ice would begin to form at 0 °C. But talk to a group of polar ocean modellers, and they will tell you the freezing point of water is about -1.8 °C. How can this be? Let’s got back to our figure for some clues. Looking at the dashed line representing freezing point of ocean water you will notice that as the salinity increases, the freezing point decreases. So an increase in salinity of sea-water suppresses its freezing point. Just like how salt is used to melt ice in winter, it prevents the water from reaching its freezing point until the water reaches roughly -2 °C. How does this all link together? When the ocean gets cold, the influence of temperature on density changes, affecting how rapidly sea ice can form. Take a look at the bending of the black contours as the temperature is reduced to zero and below. Whereas in “normal”, warm contexts, a decrease in temperature leads to an increase in density, this changes as the temperature approaches 0 °C. As the ocean cools, the top-most, coldest water typically sinks, and is replaced by warmer water from below, driving ocean circulation convection. It therefore can take a long time to bring the surface of the ocean to near 0 °C. Since there is salt in the ocean, the water can reach colders temperatures where something very different happens. As the water continues to cool, the coldest water no longer sinks, and may even float, with sea-ice formation happening rapidly. The formation process of sea ice, and its relationship to the ocean it forms out of is an extremely complicated and rich phenomenon, and it all depends on salt! Mary-Louise Timmermans and Steven R. Jayne, 2016: The Arctic Ocean Spices Up. J. Phys. 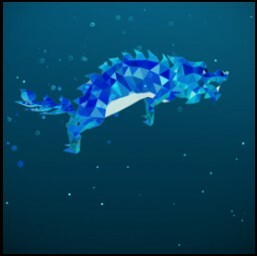 Oceanogr. 46, 1277–1284, doi: 10.1175/JPO-D-16-0027.1. For more on sea ice check the National Snow and Ice Data Center (NSIDC) website – All About Sea Ice! 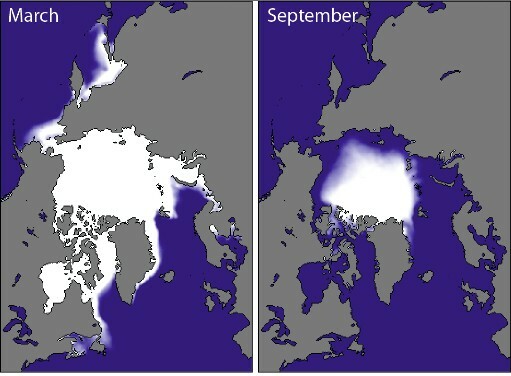 Image of the Week – See How Seasonal Sea Ice Decline Differs! 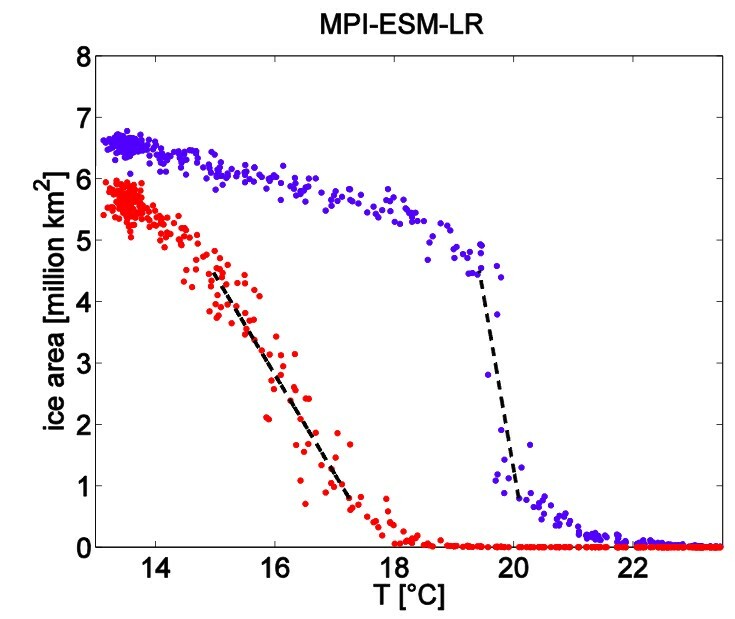 Figure 1: Arctic sea-ice area (75°N to 90°N) VS global annual mean surface air temperature for the complex model MPI-ESM-LR. Red dots represent a seasonal average over autumn (September/October/November) and blue dots over spring (March/April/May) of a particular year in the historical and future (RCP8.5) simulations. The dotted black lines result from a linear orthogonal regression in the ice area regime with the steepest change (Credit: subset of fig 2 from Bathiany et al, 2016 ). Why do we care about sea ice in the first place? Sea ice is important for several components of the climate system. 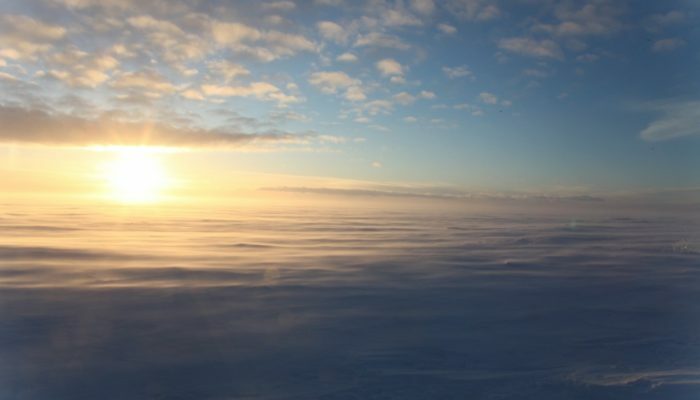 Due to its high albedo, sea ice reflects a high amount of the incoming solar radiation and is therefore relevant for the Earth’s energy budget. Sea ice inhibits the exchange of heat, moisture and momentum between ocean and atmosphere, which usually occur at the sea surface. Where sea ice forms, it releases heat and salt. 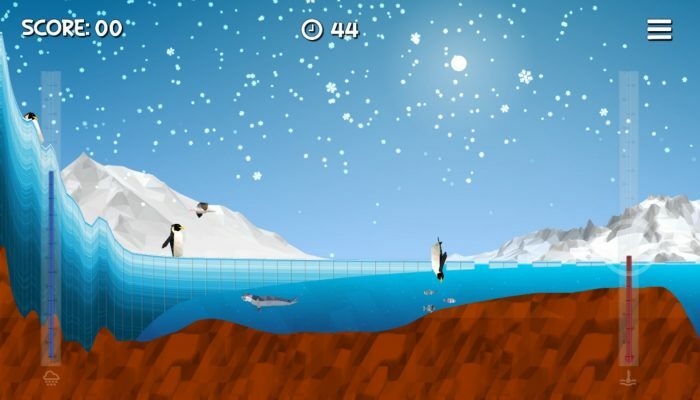 When sea ice melts, it takes up heat and reduces the salinity of the surrounding water. Sea ice therefore redistributes heat and freshwater. Sea ice provides habitat for plants and animals and hunting grounds for animals and indigenous populations. Sea ice is an obstacle for shorter commercial shipping routes through the Arctic and oil and gas drilling. The Arctic sea-ice cover is decreasing! In recent decades, the Arctic sea-ice cover has been retreating rapidly. As we care about sea ice (see above! ), scientists have been trying to understand this decline and to define a time span over which the sea-ice cover is expected to totally disappear (usually below 1 million km²). Up to now, research has mostly focused on the Arctic summer sea-ice cover, as this is expected to disappear much sooner than the winter cover. However, it is also of interest how winter sea-ice cover will evolve in the future and has evolved in the past. What is meant by summer and winter sea-ice cover? The Arctic sea-ice area follows a seasonal cycle with a maximum in late winter and a minimum in late summer (see figure below). 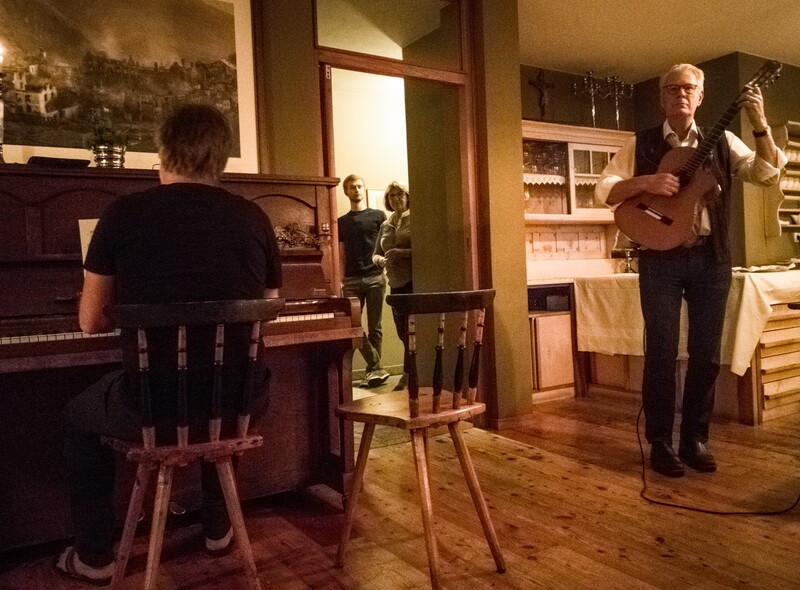 So, what about our Image of the Week? In their study, Bathiany et al. (2016) compare the characteristics of the summer and winter sea-ice loss in the Arctic in general circulation models (GCMs). They investigate the changes in sea-ice area as a function of global annual mean surface air temperature. Summer sea-ice area (see red points) declines more linearly, “with no or a less pronounced change in slope”. Winter sea-ice area (see blue points), however, declines slowly at first and then more abruptly (this can still mean several years to decades, depending on the projection scenario used!). This abrupt decrease starts when ice volume is already very small. Summer sea ice is distributed very heterogeneously over the Arctic, with very thick ice north of Greenland and Canada. It takes a given time (several years) until the thick multiyear ice (ice that has not melted during the previous summer) has melted. There can therefore still be ice in one location of the Arctic, while the rest of the area is ice-free. When these big “bunks” of ice have melted, then the summer sea-ice cover is gone. Large-scale abrupt shifts in sea ice therefore cannot occur in summer. Winter sea ice, however, forms very homogeneously over the whole Arctic basin, when the ocean reaches the freezing temperature (the ocean temperature is relatively homogeneous over the basin). Warmer conditions in winter inhibit the growth of multiyear ice but a thin cover will always form on top of the ocean if the water is cold enough even if the ice melted in summer. Therefore, the sea-ice thickness and sea-ice volume decrease whereas the sea-ice area stays relatively constant and can still cover large areas (where the ocean is cold enough for ice to form). When the ocean does not reach the freezing temperature in winter, a large area of sea ice does not form any more and the sea-ice area declines abruptly. The explanation for the different behaviours in the retreat of summer and winter sea-ice is quite simple: the summer sea-ice cover disappears when all summer sea-ice has melted. The winter sea-ice cover disappears when no new ice forms in winter. As ice formation and ice melting are different processes governed by different mechanisms, the behaviour of the ice decline is different in both cases. Note: These results are only relevant for the Arctic sea-ice cover as the Antarctic sea-ice cover is governed by different processes. Bathiany S., Notz D., Mauritsen T., Raedel G., and Brovkin V.: On the Potential for Abrupt Arctic Winter Sea Ice Loss, J. Clim. 29:7, 2703-2719, doi: http://dx.doi.org/10.1175/JCLI-D-15-0466.1, 2016. Figure 1: Soil carbon map of the Northern Hemisphere, averaged over top 3 m. Produced using the SiBCASA model, initialised with with spatially varying permafrost carbon density from the NCSCDv2 data set (Figure 6b from Jafarov and Schaefer, 2016 ) . Ice sheets and glaciers are very visible and much photographed (e.g. here) elements of the Cryosphere but what about the vast, invisible and buried parts? Around a quarter of the land in the Northern hemisphere remains frozen year round, making up a hugely important part of the cryosphere known as permafrost. 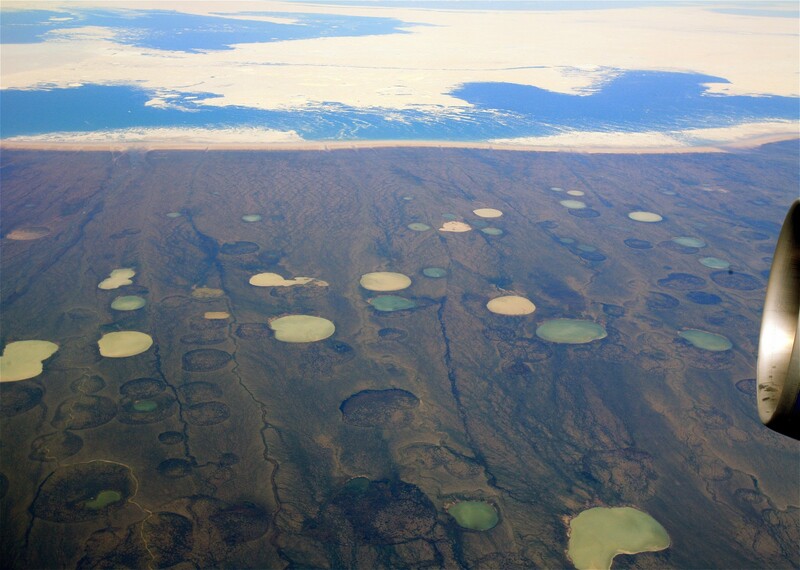 Permafrost largely exists at high latitudes (e.g. Siberia and the Canadian Arctic) and these areas store a huge amount of carbon, around twice as much as currently exists in the atmosphere. As the global climate warms these frozen areas of ground begin to thaw (Figure 2) and the trapped carbon is released into the atmosphere in the form of CO2 and methane – both greenhouse gases. In order to better understand how and when this carbon will be released computer models known as land surface models (LSMs) are used. The estimates of carbon emissions produced by different LSMs vary greatly and many of the models are not yet able to accurately re-produce present day measured soil carbon levels well. 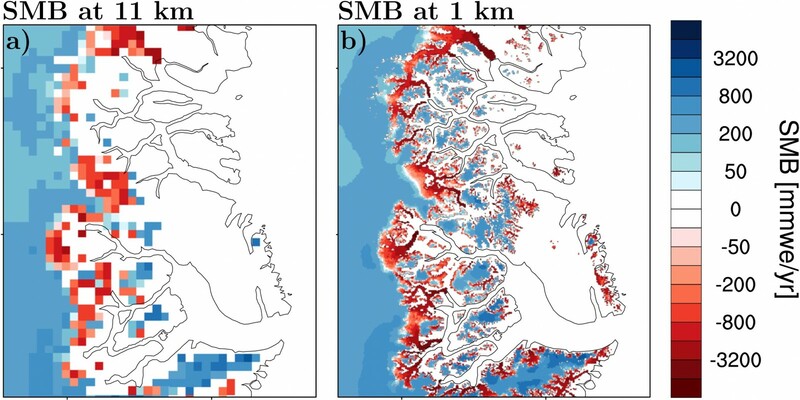 A new study by Jafarov and Schaefer (2016), published last month in The Cryosphere, has improved the way frozen organic carbon is represented and simulated in the SiBCASA LSM, producing a simulated present-day soil carbon map (Figure 1) which is much closer to the known soil carbon map of the Northern Hemisphere (NCSCDv2). Both the spatial distribution of carbon and the total amount of simulated permafrost carbon (∼560 Gt C, much closer to the observed value ∼550 Gt C) is improved. This is a step closer to better understanding permafrost carbon release and the factors that effect it. The authors of this study found they were able to make these improvement to the SiBCASA LSM by improving simulated thermal dynamics of the soil, improving soil carbon dynamics and initializing the model using NCSCDv2 data. To find out more check out the full article and remember, it’s not just the ice your eyes can see that is important!